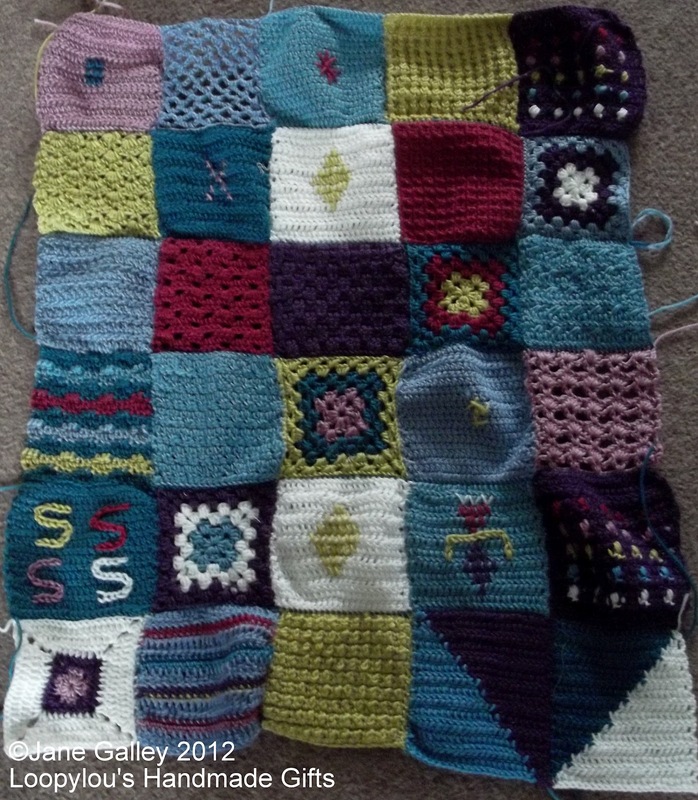 The last quarter of the afghan has been sewn together. The disappointing thing is, I didn't sew the third quarter, so I need to go through the back issues to find the page with the order of the squares. Only thirty more to sew! So fun! What a great combination of colors and textures. You have such a good eye for things like color and pattern. Don't worry if you can't find the back issue, instead just put it together in a way that pleases you. It's beautiful! Once again I marvel at your many talents. Great progress on your blanket! wonderful learning project. Congratulations on finishing. I've learned you are a finisher.